After my nightmare earlier this morning, I had to do something interesting, embark off on an adventure to beat the no-meat, no-egg Navratra hiatus! My adventure started in the refrigerator - I found a pack of royally purple baby aubergines and two packs of button mushrooms. Aubergines are quite a staple in Italy, Greece and the Middle East - Lebanon, Turkey and Syria. 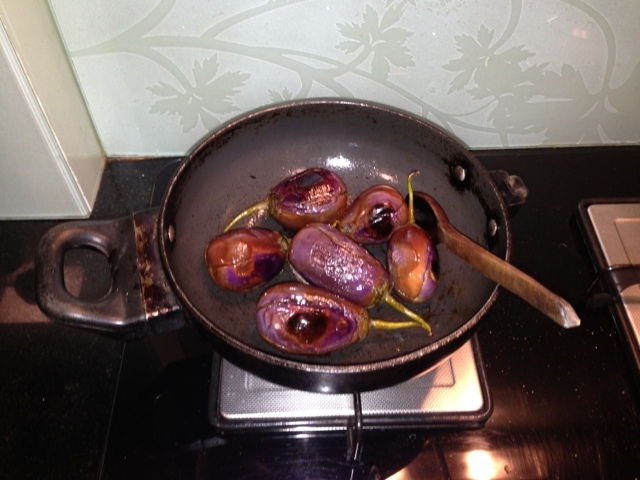 Now the baby aubergines were pan fried in a dash of olive oil, followed by quartered red onions. Next the pan fried aubergines and red onions went into a Mediterranean emulsion of lime juice, vinegar and olive oil alongwith salt, sugar, copious amounts of garlic, coarsely crushed black pepper and parsley. 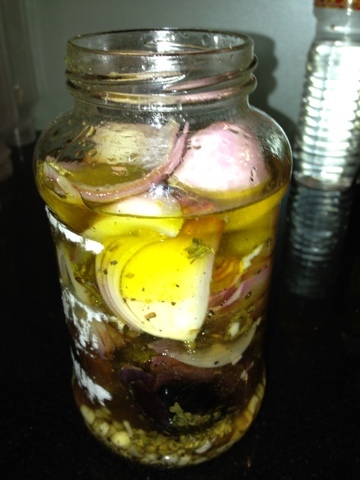 The pickle went into the refrigerator for an hour. 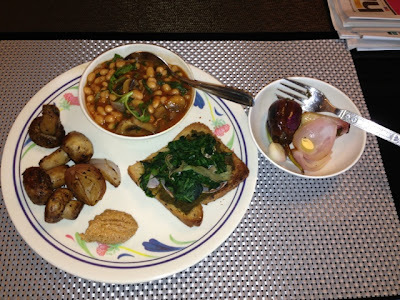 And it was ready as a pleasing accompaniment for a very healthy breakfast of sauteed mushrooms and onions with satay sauce, baked beans with spinach and a crispy pesto-spinach-mushroom "open" sandwich! I lived up to my promise - no meats, no eggs! Wow! 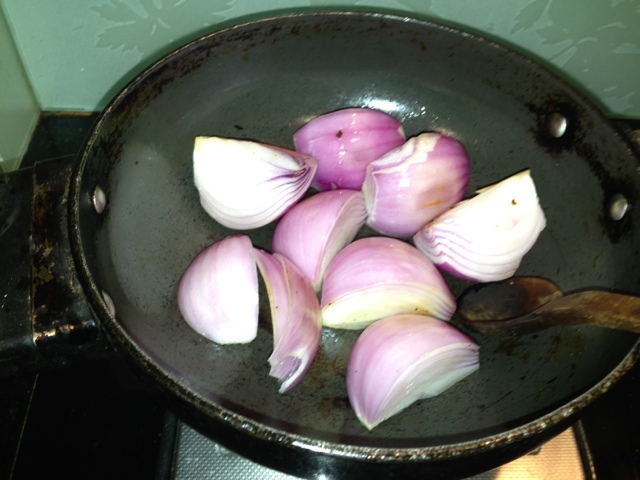 A nightmare led to an interesting culinary Mediterranean adventure!